Hi everyone, hope you are all enjoying your week – today I have one of my favourite polishes EVER to share with you. This polish belongs in nail polish heaven because it’s so special – I wish I could purchase it for each & everyone of you to have in your collection!! I bought this polish last year and while it has taken a long time for me to blog about it, it proved to be worth the wait! It required 2 coats to be opaque but I added a 3rd coat just in case, the dry time was very impressive – it took roughly between 8-10 minutes and the bright intense glow on the nails really makes this polish special. If you want an automatic tan – GRAB this!! It is the PERFECT pool side polish to wear on vacation!! This photo captures the intense glow, I love it!! 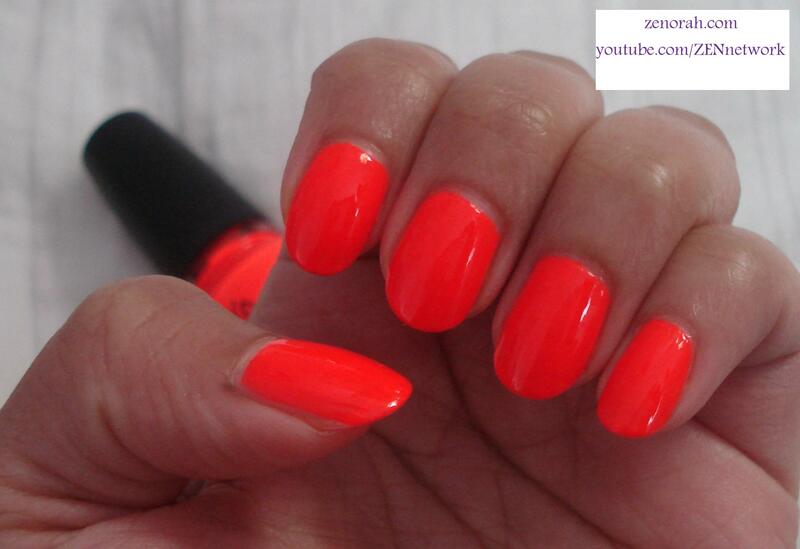 It`s a must have shade for neon lovers and I have a special video coming up featuring this polish so look out for that soon on my Youtube channel – ZENnetwork! It`s one of the few polishes I honestly can`t stop staring at my nails whenever I wear it & it`s the most perfect pedicure polish!! I applied a top coat to show you how gorgeous it looks with one – I have a feeling I will be squeezing as much use out of this polish before the summer is up! Last year was the year I wore the heck out of my China Glaze Flip Flop Fantasy – so this summer I shall declare it – the Summer of China Glaze Japanese Koi!! 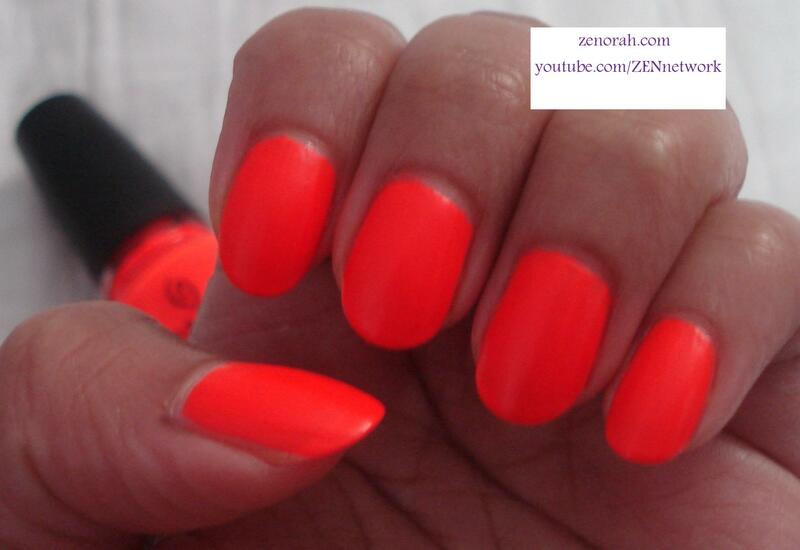 If you want bright, intense neon – RUN out and get this A.S.A.P!! I LOVE IT!!! 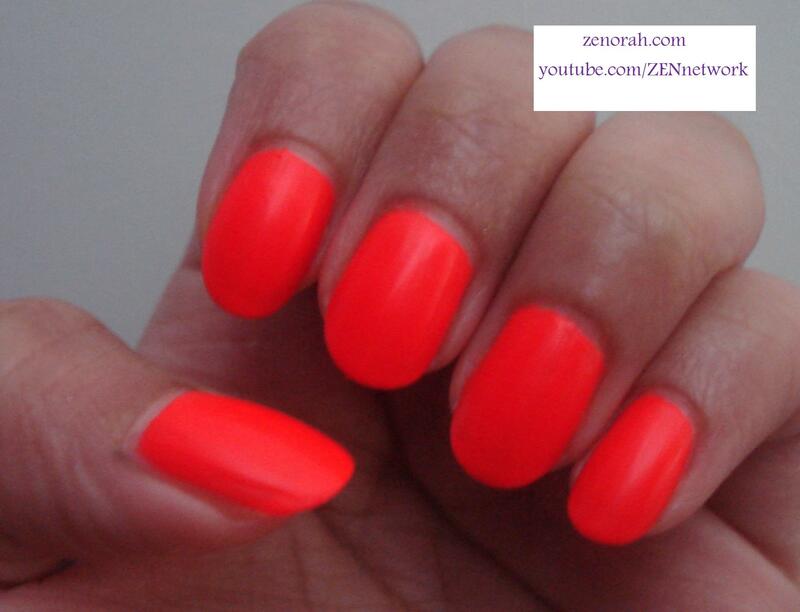 One thing is for sure, China Glaze makes some pretty awesome NEONS! Recommend: Yes!! – MUST HAVE!!! 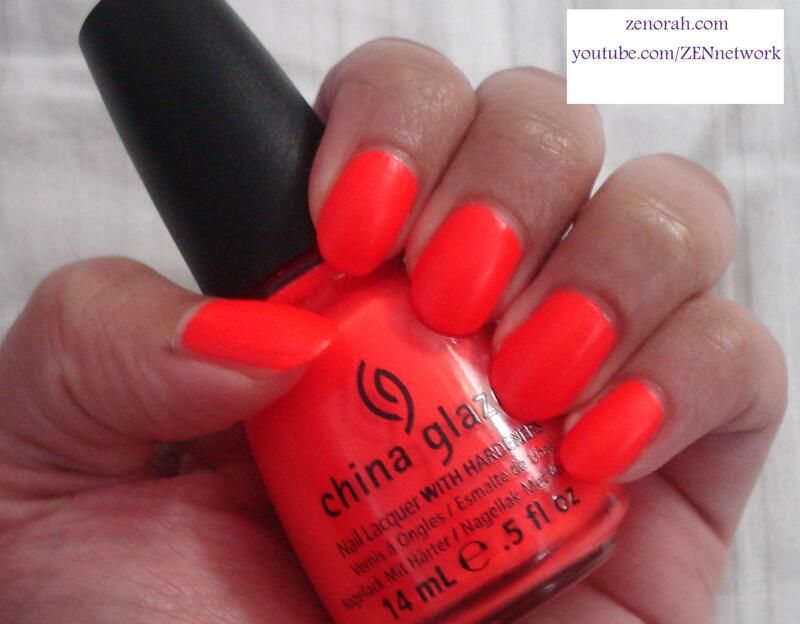 Do you own China Glaze ‘Japanese Koi’? What are your thoughts on this nail polish?